My regular readers were probably expecting to see this collage post yesterday but unfortunately that wasn't possible due to the fact that I was out of town for a few days at a work industry trade show. But now I'm back and it is time to get caught up. Stunning Stitchin Sunday will return next week. 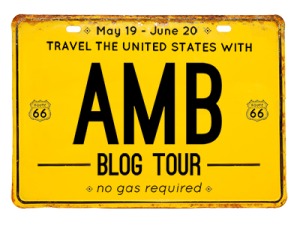 We've been on the road with the American Made Brand Blog Tour for 4 weeks now and there is just one more week left. 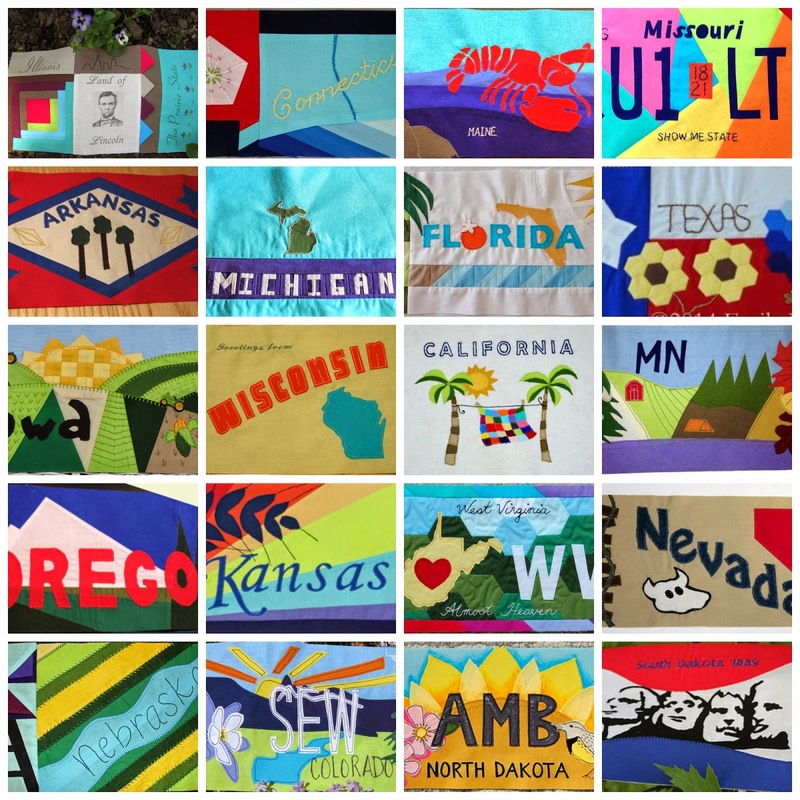 As a representation of what the final quilt with all the license plate blocks will possibly look like, here are the collages so far (unfortunately I can't get them all into one collage but I think you get the idea). 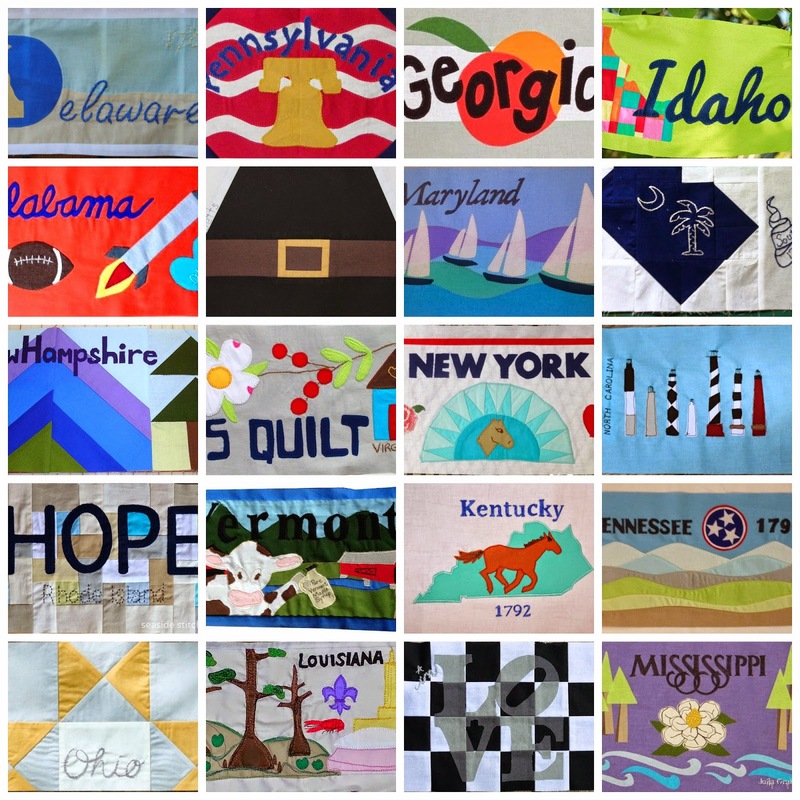 This state license plate block quilt is really going to be fabulous and I'm so anxious to see how it will really be put together. The wait until Houston will be tough. I hope to see you back here tomorrow for the start of the final week on this fabulous tour of America. It is going to be fabulous. Can hardly wait to see all the license plates. Today is my home state: Washington. I've been trying to catch up as I forgot to stay on top of things. I can't wait to see how they sew it all up too. Loving your collage.